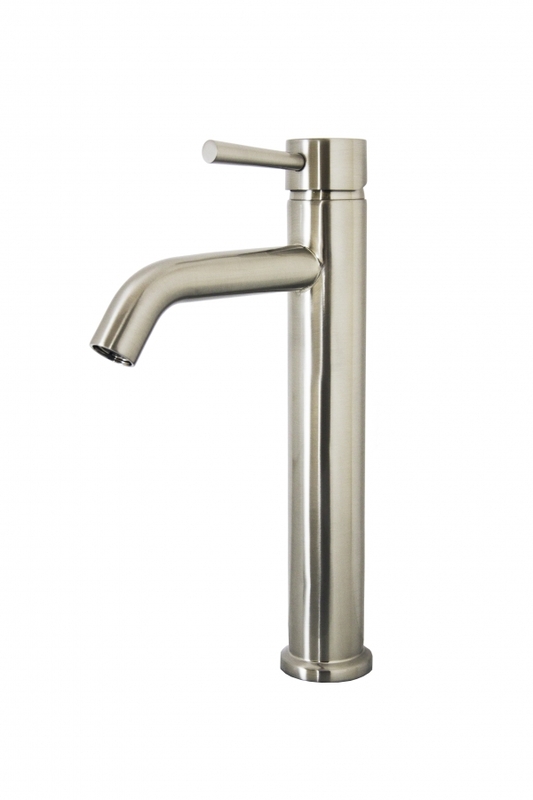 The tall design of this faucet makes it the best choice for a deep vessel sink. 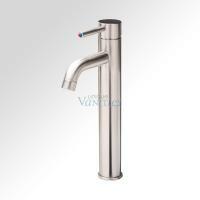 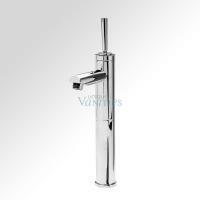 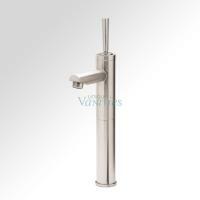 The single spout provides water which is controlled by a simple lever. The brushed nickel finish has a muted sheen that will look great with any bowl and vanity style. 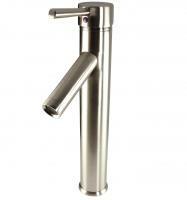 Care for this piece is very easy.